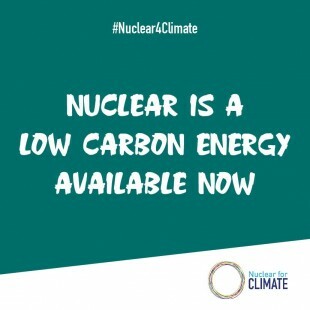 On September 10, commercial operation was resumed at the Sendai-1 Nuclear Power Plant (NPP, PWR, 890 MW), owned and operated by the Kyushu Electric Power Co., Inc., having undergone a final inspection by Japan’s Nuclear Regulation Authority (NRA). This was the first time that an NPP in Japan had returned to commercial service under the NRA’s new regulatory standards that had come into effect in July 2013. 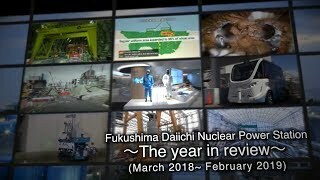 It had been exactly one year to the date since that agency approved Kyushu Electric’s proposal for changes to the reactor, based on its safety examination of it. Leading up to the restart of Sendai-1, Kyushu Electric had filed an application for permission to change the reactor’s installation with the NRA on July 8, 2013, for examinations to confirm compatibility with the new regulatory standards, on the same day that they came into effect. Applications were also filed that day for Sendai-2, also owned by the same power utility, as well as Tomari-1, -2 and -3, owned and operated by the Hokkaido Electric Power Co., Inc., Ohi-3 and -4 and Takahama-3 and -4, all owned and operated by Kansai Electric Power Co., Inc. (Kansai-EP), and Ikata-3, owned and operated by the Shikoku Electric Power Co., Inc.
Based on the progress of the examinations, as major items subject to inspection were cleared, Sendai-1 and -2 became designated as NPPs whose examinations will be carried out “with priority,” and were examined intensively starting in March 2014. On July 16, the NRA formulated review report drafts, and on September 10, Kyushu Electric received permission to have the reactor installations changed in terms of their basic design. In the siting area, documents under the name of the head of the Ministry of Economy, Trade and Industry (METI) were delivered to the governor of Kagoshima Prefecture and the mayor of Satsumasendai City on September 12, 2014, asking for their understanding on the government’s policy of promoting the restart of the reactor’s. After a petition seeking the “swift” restart of the two units was approved by the Kagoshima Prefectural Assembly on November 7, 2014, Governor Yuichiro Ito expressed his intention to agree with the move. Later, in anticipation of Sendai-1’s restart, the NRA approved the work plan for the NPP on March 18, and pre-service inspections were launched on March 30. Following progress of those pre-service inspections, Kyushu Electric loaded fuel assemblies into it from July 6 to 10. On August 11, the reactor started up, resuming power generation three days later. The reactor gradually increased output, reaching constant operation at rated thermal output on August 31. On September 9, the final inspection items of the pre-service and periodic inspections at Sendai-1 were conducted, satisfying the requirements for both. One day later, the NRA granted certificates of compliance (pre-service inspection stage 5) and completion (integrated performance test, normally the final step in a periodic inspection), allowing the reactor to resume commercial operation. The next day, on September 11, fuel assemblies are scheduled to be loaded at Sendai-2, the other reactor unit on the site.